By fulfilling the availability request form you will be contacted as soon as possible by our Booking office. The price includes: 7 nights, bed linen and towels, energy and water use, wood–burning fireplace kit. The price doesn’t include: tourist tax 2.50 € per person per day, 0-18 years old free. Change towels service € 5.00 per person and change bed linen service € 5.00 per person. Extra wood for the fireplace € 20.00 per kit. Baby cot € 35.00 per week. Final clean € 230.00( Kitchen must be cleaned by guests, or they will pay a penalty of € 100,00). Deposit € 1.500.00 given back at the end of the stay. Special Meals: it is possible to book half board or full board at the Hotel La Belle Etoile, from the first dinner to the last breakfast. The service needs to be booked in advance. Price per meal € 25.00. – Price per breakfast € 8.00 per person. At ground floor guests can find a beautiful lounge area with large fireplace, TV, equipped kitchen (oven, fridge, microwave oven, dishwasher, washing machine, dryer), ski and mountain bike locker, toilets and a twin room available also for people with reduced mobility. At first floor there are three rooms: one room for 4 people with a double bed and a sofabed, a room for 4 people with a double bed and a bunk bed and a room with double bed. All the rooms have balcony, TV, toilets and bathroom with shower, hairdryer and towels dryer. single beds, TV, toilets and bathroom with shower, hair dryer and towels dryer. Restaurant: thanks to the proximity to the Hotel La Belle Etoile, our guest can book the dinner of the arrival day or even choosing the half board service for all the week stay. 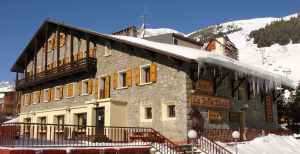 The Hotel La Belle Etoile is located in the centre of Les Deux Alpes and near to ski and snowboard slopes. With its tradition stone structure and its beautiful panoramic terrace with a view of the Muzelle, it’s considered one of the most suggestive hotels in the area. 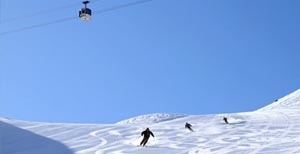 The hotel offers a friendly and welcoming environment in which both summer and winter skiing fans can spend their vacations enjoying sports, relaxation and entertainment. 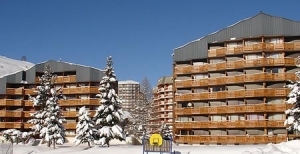 The Hotel La Belle Etoile, in addition to the rooms avaible in its structure, can intermediate with local real estate agencies to rent apartments for 2/9 people in the center of Les 2 Alpes. Are you ready to join the most sportive european destination? How to reach the station? 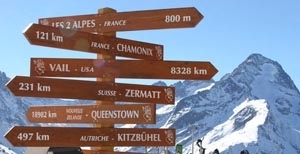 During the season we planned several solutions and packages such hotel + skipasses studied for different targets such as couples, families or friends. Discover it while using the booking engine! Utilizziamo i cookie per analizzare il nostro traffico. Navigando sul sito accetti il loro utilizzo. Per saperne di più è possibile consultare l'informativa sulla Privacy.